The 2018 Acura TLX technology represents the next generation of automotive abilities. Not only can these high-tech features do more than the features of the past, but they also greatly expand the level of information, entertainment, and assistance available to drivers while remaining intuitive and accessible. Every drive you take around Stratford will be improved thanks to the high-tech features we have outlined below. Visit Acura of Milford to experiment with these technologies in person. Thanks to Apple CarPlay and Android Auto, you can integrate the features of your favorite smartphone app with your vehicle. The same apps you rely on daily can now be used to upgrade all your travel around West Hartford. Rather than cluttering up the cabin with a tangle of chords, simply place your phone on a wireless charging pad. It could not be easier, and it ensures you always have a full battery when you get out of the car. The next-generation of Acura's eight-inch touchscreen infotainment interface features faster responses, simpler menus, and expanded features. You have complete control of the cabin with just a few taps of your fingertip. Getting in and out of even the tightest space is easy when you have six different cameras to reference. You no longer have to worry about blind spots or unknowns putting you and your vehicle at risk. If technology is your priority, the Technology Package adds a lot of cutting-edge features to the already impressive list of standard features in the latest TLX. You’ll get a 10-speaker studio-quality sound system from ELS that fills the cabin with pristine audio, as well as an intuitive navigation system that is enhanced with real-time traffic updates and warnings about construction zones. There is even a blind-spot and rear cross-traffic monitor to help you avoid the kinds of hazards that lead to completely preventable accidents. We haven’t even told you about AcuraLink yet, a smartphone app that offers vehicle assistance and even concierge service when you’re looking for recommendations in downtown Milford. To really appreciate all that this car can do on the tech-front, you have to experience it in person. 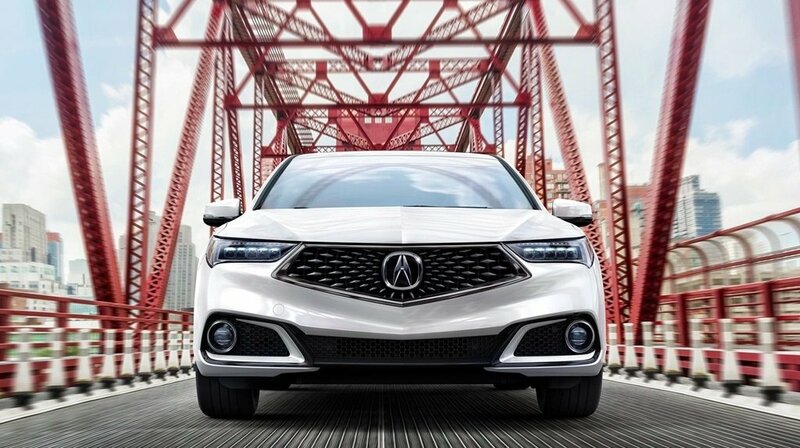 Visit Acura of Milford at your convenience to tour our TLX inventory explore the many available Acura TLX packages, and work with our expert staff, and you’ll see why it stands up to tough competition like the BMW 2 Series. If you have questions, contact us.